An outstandingly entertaining hour of cabaret seemed to pass in the blink of an eye. She was so captivating that when she wrapped up the show I thought “wow, I thought we were only about half way through” bu when I checked my watch it confirmed that I had indeed lost an hour under her spell. 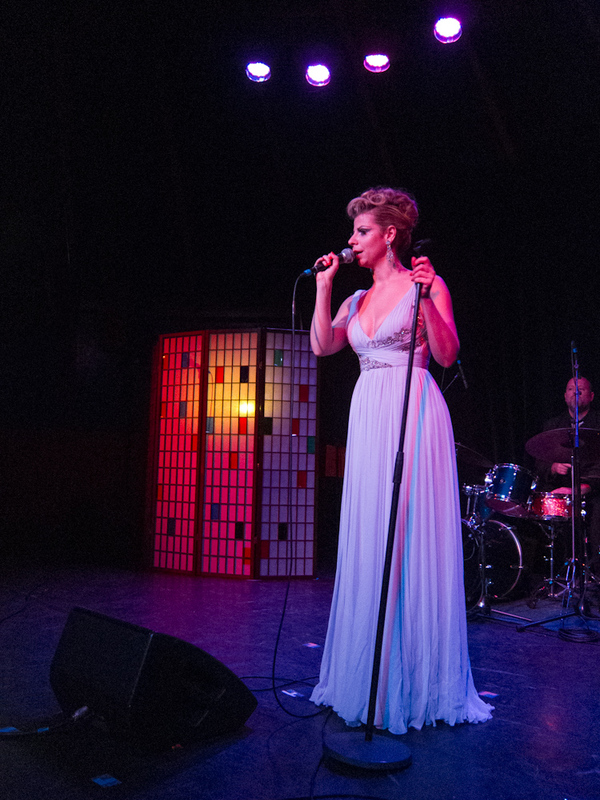 Lady Rizo has an excellent voice and her acompanying band are just perfect – they work very comfortably together although it is always clear who is in charge! Her stage presence combines musicality with playfullness, femininity and just a hint of sensuality. A consummate performer. This is, for me, one of the must-see gems of Fringe 2012 so far. I went in to the bizarre little circus tent in the back of George Square Gardens with no expectations and came out with a huge grin – my favourite sort of show. Oh, I must add, it’s rare for an act to get a standing ovation at the fringe – this is one of the exceptions. We were all on our feet at the end! I’m going to give this my first five star rating (gasp). I thought it was excellent, standing ovation from me (gasp again) as I’m not sure how it could have been better. Lady Rizo sings a variety of her own and other people’s songs, and she sings them extremely well. Tremendous voice, what a belter, and so so funny too. Her audience interaction is extremely well judged coming across as charmingly flirty, saucy and at times silly. Loved it, it went by in a flash. Very classy cabaret.